They say that ‘Well begun is half done’. Well, the idiom is old, but absolutely appropriate for different life scenarios, especially, if you are an applicant of permanent residency visa in Canada. How you start is absolutely critical in Canada immigration process. Most of the applicants regret the start they had, as it impacts the whole immigration process of Canada or for that matter any immigration destination in the world. There are two aspects of your start or beginning of Canadian PR process, i.e. Usually, if you have taken care of the 2nd one, i.e. you are applying through an expert, the first one will be taken care of by itself. Let’s understand both scenarios to get the answer is an ideal way of going for your mission Canada PR visa. Nearly fifty percent of correct case stake longer to get processed or couldn’t get the positive result, due to the wrong choice of the Canadian immigration program. 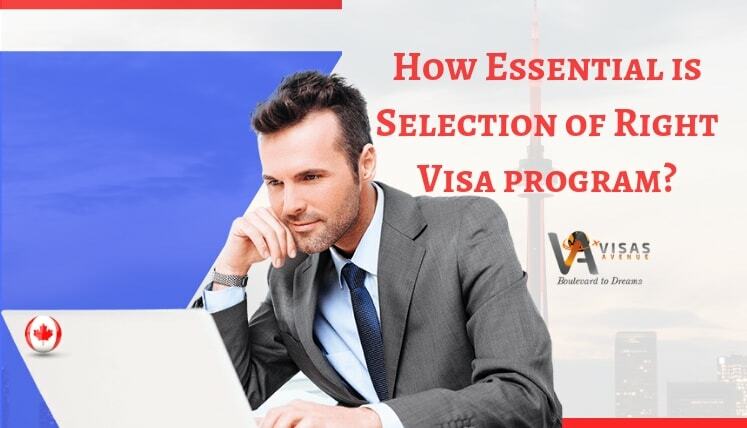 You must know the right immigration program to apply for Canada PR visa and accordingly apply in the same to get the timely result in your favor. In the fastest and popular Express Entry system of Canada, tens of thousands of applicants remain on standby for months to get an Invitation to Apply (ITA) from IRCC (Immigration Refugees and Citizenship Canada). Whereas, if they can enhance their point score through different means or apply for provincial nominee program (PNP) they can get the invite much earlier. Hence, selection of the right program along with the right guidance is critical for your process. Taking decision early on is essential, as it impacts your whole visa process and chances of success as well. Although, most of Canada permanent residency process for skilled workers is online, however, there are various stages during the process, when you require vital help, guidance, and assistance. The immigration guidelines and rules, etc. change frequently, hence, when you are applying on your own, you must be updated with the latest process and requirement. Moreover, your selection of the right program (based on your profile) at the beginning of the process also matters a most as mentioned already. If you hire an efficient and trusted Immigration Consultant, things become easier for you as an applicant. However, make certain that you choose a registered Canadian visa consultancy service only. A Canada immigration consultant not only helps you in following updated process and selection of right program but also plays a role of a mentor, guide and support system at various stages of your Canadian immigration and PR process. Providing assistance in Visa application filing, documentation, application pre-assessment, online EOI submission, etc. How Visas Avenue help you get Canada PR in time? Visas Avenue Immigration is a registered Canada Immigration Consultant in India. It has its branches in Delhi, Noida, Mumbai, Bangalore, Hyderabad, and Chennai. Visas Avenue every year helps hundreds of applicants get the approval for Canadian permanent residency through key Canada immigration programs, i.e. Express Entry System, NSNP, OINP, SINP, etc. If you wish to get permanent residency in Canada, it’s the high time to start your process with the VA team.